D.C. Metrorail Reopens After Emergency Closure : The Two-Way Metro's trains were shut down after a fire near one of the system's tunnels on Monday. General Manager Paul Wiedefeld said deteriorating cables were found and will be fixed. The Metrorail system in the nation's capital will reopen after being shut down for a full day for an emergency safety investigation. 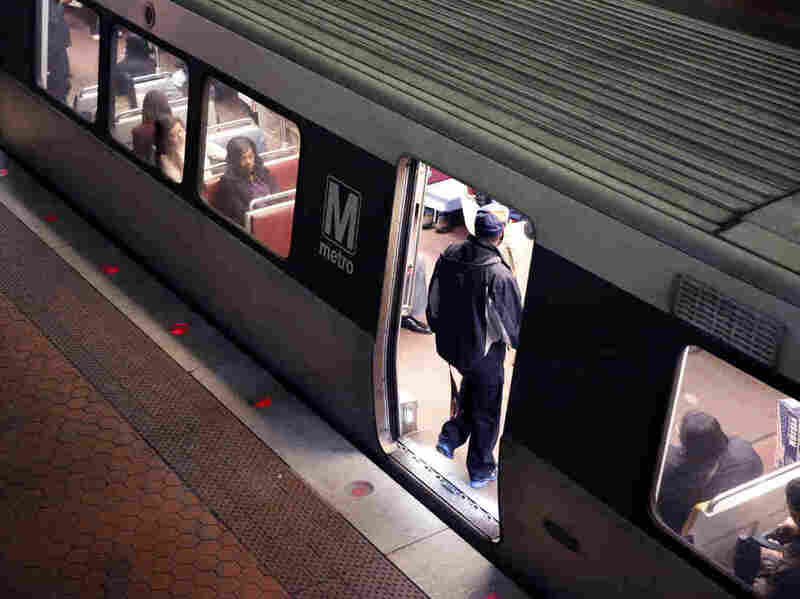 The Washington, D.C., Metrorail reopened early Thursday morning after it was abruptly shut down for a full day Wednesday so officials could perform an emergency safety investigation. The investigation was announced after a cable fire broke out in one of the system's tunnels on Monday. It was the second time in a year a damaged cable had caused a fire. In the first incident, a woman died after being trapped on a train filled with smoke. Metro's General Manager Paul Wiedefeld said in a Wednesday evening news conference that deteriorating cables were identified during the emergency investigation and are in the process of being fixed. Crews found 26 areas with defects, and completed repairs to 18 of them, Wiedefeld said, adding that if the remaining problems could not be solved overnight, the Metro's opening could be limited for some lines. All of the frayed cables were found in tunnels shared by the Orange, Blue and Silver lines, but Metro said late Wednesday that it's likely all repairs will be complete by the time the system opens. A plan is in place if those fixes do take longer than expected.